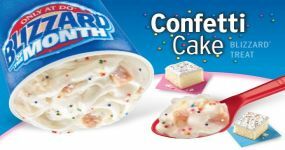 Choose from your favorite cookies and candies, blended in our famous DQ® soft serve. 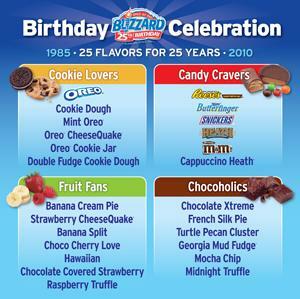 Oreo®, Reese's Peanut Butter Cups®, Butterfinger®, Snickers®, M&M's®, Georgia Mud Fudge, Chocolate Extreme, and Chocolate Chip Cookie Dough. A different flavor every month.